Saturday afternoon and now the supermarket is open until 6.00 pm so plenty of time to do the shopping. I do my week-end shopping on Friday. Many families are working and this reduces the shopping competition in the store although there are still enough people there. Saturday afternoon it is absolutely packed and the free parking spaces show a zero everywhere. I am handicapped, physically, but my brain still works. I can walk, something like a member of the Ministry of Funny Walks, but I need a stick at least and more suitable is a Walker, or the supermarket trolley does the job just as well. We have special parking spots for people like me and I am so glad and thankful. They are near to the entrance to the supermarket and I can save walking time. To use one of these special places you must have written permission from the police and show it in the window of the car. I have such a permission and mine is always in my car to be seen. 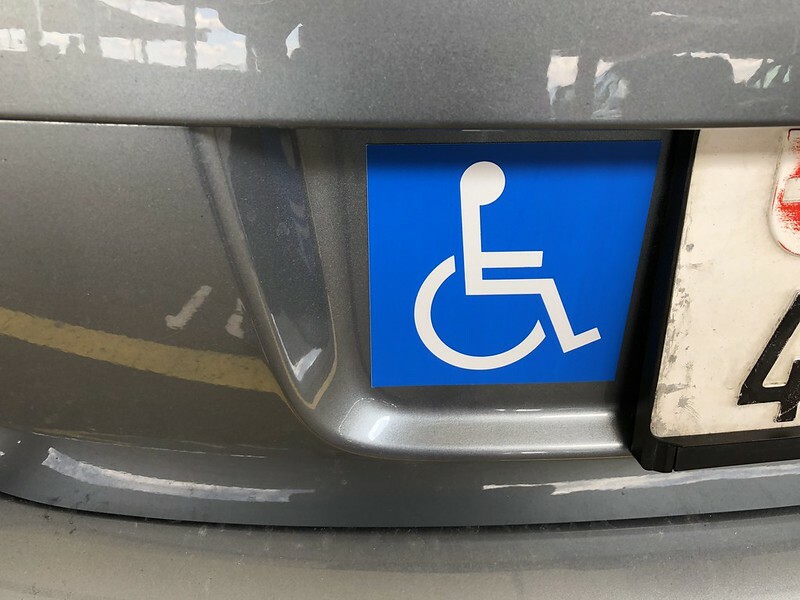 I also have a wheelchair sticker on my car. 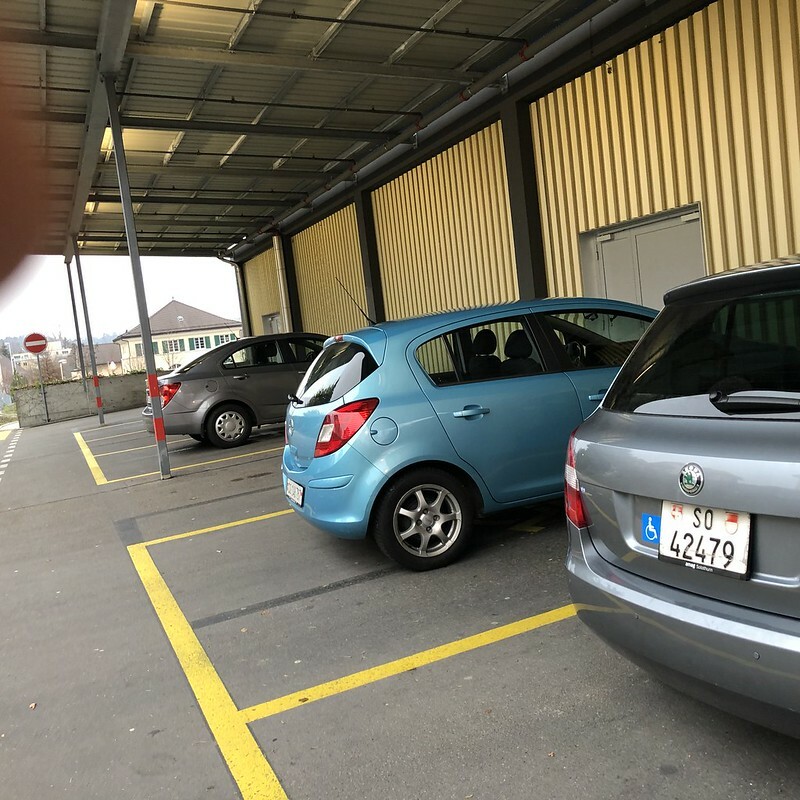 This afternoon I arrived at the supermarket for a few bits and pieces which I had forgotten the day before and every one of these special parking spots, 7 in all were occupied. I had a quick look and saw that I was the only person with permission. The others just happened to find an empty spot, at the cost of the less fortunate. This was my temptation to find something sharp in my bag, a nail file or even a Swiss army officers knife, and scratch each one of these cars belonging to the selfish idiots who are fortunate enough to be able to walk normally, but as I said it is only my body that no longer works as it should, my brain still does. I found an empty spot next to these parking places, marked with a “X” meaning parking forbidden because it would block the delivery of goods. As it was Saturday, no goods were being delivered and I parked my car. I then went directly to the office in the store and registered my indignation. The lady was understanding. Of course they cannot make an inspection every five minutes, but it worked. I began my shopping in the store and heard how over the loudspeaker five car numbers were called out to re-park their cars immediately. When I picked up my car there were a few more empty spots but one car, whose number was announced twice, was still there. Perhaps it was a handicapped person that could not hear so well. I noticed there was an empty place next to my car, also on a place with a “X”, when suddenly a large combi wagon swept into the space and the driver climbed out and walked with no problems into the store. I have now been given a telephone number and a name which I can call about this problem. Perhaps I am making a mountain out of a molehill and a stupid fuss, but when you either need a trolley or walker for support when getting your shopping and worry about falling most of the time, I think just a little bit of thought could be spared. I would never do anything like that. If there is not enough room, you wait until someone drives away. You are not making a mountain out of a molehill–not at all! The police here will write you a ticket as it against the law to park in handicapped parking if you do not have the tag. I am glad store management acted quickly. You gotta fight for the right to party, Pat! I am disabled and like you struggle to walk. Some days are better for me than others. I have a handicap plate on my cars, which is the sticker you have but on the licence plate it self. I do not always use the handicap spots if I think I make the walk. The last three months I have not been able to make much of a walk, so I use them. When Ron goes out in our car he is not disabled and doesn’t use the spots. That is how it should be. One thing about supermarkets. Good for you calling attention to this! In our family, 3 of us are disabled (and we have a placard) but only one of us “looks” physically challenged, so we always get glares from others who assume that we should “look” handicapped in order to park there. But we call attention to the non-authorized parker’s park there. I can understand that completely. My husband is also handicapped which is why I am now the only miobile person in the family and rely on these parking places. Here you have a permit in your car which must’ve placed for all to see. If you were feeling really bold, you could park directly behind as many as your car could block in, then call the # and wait for whomever to show up. If they came out while you were waiting for the police, explain why it is important they don’t take up spaces. I’ve gotten pretty militant, not over parking spaces, but when owners leave their pets in hot cars. It really does make a difference to those who need the assistance. Problem being that if I parked behind them, I would be blocking the access road. I left it to the store to deal with the police or not. I agree with all the other comments. People are just so inconsiderate. Since I have retired, I drive much more during the day then I used to, I have noticed when we wait for the red traffic light to change to green, and it does, nobody moves, because everyone is looking down at their smart phones reading their funny little messages, or updates from the Twitter account of Beyonce, or whatever … if I am not first in line to move through the intersection, I wait about 15 seconds then lay on the horn. They look up and give me a wave with their right hand, then proceed to move without having any clue of conditions around them. As we way in our country, this really drives me up a wall. When I got my new car the salesman took time to explain everything. He was a little astonished when I did not need more than one radio programme sorted. I never listen to the radio when I am driving, too distracting. He fitted up my mobile phone and only had to programme one other number, that from Mr Swiss. I drive a car to go places and not to carry on telephone conversations. In UK I often applauded the large sign saying: If you take my space, have also my handicap…. It’s sadly a sign of our times and manners are nowadays at a premium. I’m not for handing over others to the ‘authorities’ except in cases like this: Bravo…. They are very good words, must use a German version the next time I see someone parking their car. Mr. Swiss and i were often left in the queue for an empty space, but we always found one eventually and definitely did not take the place of someone that neeed it more than we did. They were in the good old days when we were both functioning.